In two words, a lot! An orthodontist is a dental specialist trained in orthodontics and dentofacial orthopedics (which is the actual name of the specialty). But what does that mean? As an orthodontist, we are trained to not only straighten teeth, but to also diagnose and treat abnormalities of growth and development of the jaws and face. All orthodontists start out as general dentists. In order to become a trained and licensed orthodontist, you have to attend and graduate from an accredited dental school. After graduating from four years of dental school, you then must go through an additional two to three year residency in an American Dental Association accredited orthodontic training program. During an orthodontic residency, students spend approximately eight hours a day, five days a week learning how to diagnose and treat patients with all kinds of orthodontic problems. This includes classes in subjects such growth and development, mechanics, and statistics as well as treating patients hands-on. 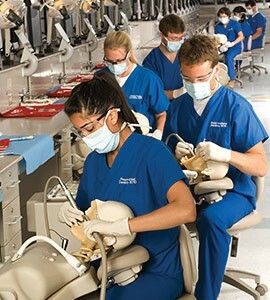 In all, an orthodontic resident will spend thousands and thousands of hours learning to do what we do. Contrast this with a general dentist who does orthodontics (remember, even clear aligner treatment like Invisalign is orthodontic treatment). Like your family physician who can treat all different kinds of medical problems, your family dentist can legally perform all types of dental treatment. Unlike an orthodontist, however, a general dentist does not have to have thousands of hours of special training to provide orthodontic treatment for their patients. Most general dentists may only take a weekend course (without any hands-on training treating patients) before treating patients with orthodontic treatment in their office. To be fair, a general dentist may be able provide decent results treating simple orthodontic problems. So to summarize, an orthodontist has thousands of hours of training and practices orthodontics full time. It is all we do. A family dentist has a very minimum amount of training and does orthodontic treatment part time in their office. Orthodontic treatment is more than just straightening teeth. It is a life changing event in the life of most children who undergo it. So ask yourself, who do you want treating your child? Your family dentist with a minimal amount of training, or a trained and licensed orthodontic specialist who does nothing but orthodontics? 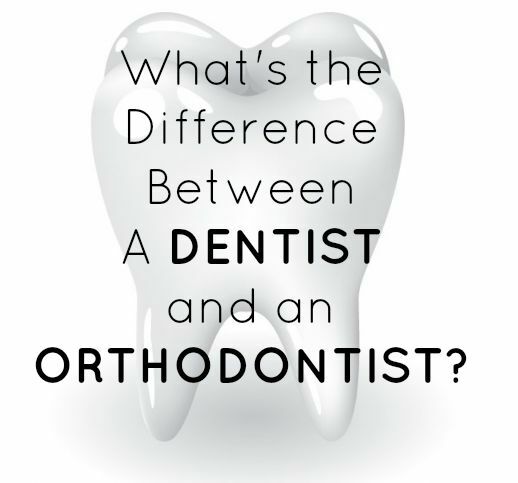 It is interesting for me to learn a little bit about the differences between an orthodontist and a dentist. I know that one would have to go to school a lot longer. This article points out a lot of other ideas about orthodontistry as well. We’re happy to hear that our post was able to explain the differences a bit more. It’s important for us to know that our patients are well educated with the information needed to make educated decisions about their treatment. If you ever have any other questions about what we do here at Flanagan Orthodontics, please don’t hesitate to contact us! 🙂 Thanks so much for your input! I think it is interesting to learn a little bit about the difference in education that a dentist and an orthodontist had to go through. I am thinking of going to school for some form of dentistry but I do not know what. You are always welcome to come in and observe and shadow in our office Paige. 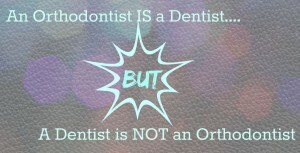 I’ve always thought that orthodontist was just a fancy word for dentist. It looks like I was pretty wrong about that one! I might have to go visit an orthodontist to see if they notice anything wrong with the alignment of my teeth. Thank you for sharing! You are very welcome, Braden! One of the most important things we can do in this industry is to educate the general public so they are confident in making any of their treatment decisions, whether for themselves or for their children. Thank you for taking the time to read our blog and leaving such a lovely comment! I appreciate the information on your internet site. Regards!. I didn’t realize orthodontists worked an extra two or three years past general dentistry. It really makes you appreciate how skilled they are at what they do. It is important to find someone that fits your needs when looking for someone to work with.